Bart Wilton specialises in banking and securities law and corporate law. After attaining his degrees in Dutch Law and Business Economics, Bart went on to work for the Dutch law firm NautaDutilh, where for more than 10 years he advised large companies, and financial institutions on various legal aspects of financing. Bart advises his clients on matters involving security (guarantees or bank guarantees, surety agreements, pledges, mortgages and other liens, liability statements etc. ), funding schemes, restructuring schemes and insolvency law. In addition, he provides advice on acquisition finance, legal opinions and the Dutch law aspects of bond issues. He has expert knowledge of the financing of large projects through project financing. Bart aims to provide legal advice of the highest quality, combined with a result-oriented and pragmatic approach. This enables a swift and efficient conclusion of transactions. 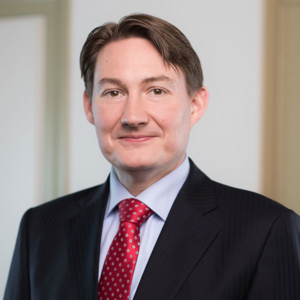 Before becoming a partner at Legaltree, Bart Wilton worked for more than 10 years at the law firm NautaDutilh, mainly in its finance practice. Bart advises both lenders and borrowers. Although he has a broad practice, his is mainly active in the field of energy and natural resources (including renewable energy and project finance), real estate, asset-based and factoring (including reverse factoring), and structuring and restructuring of enterprises. Bart regularly provides lectures on various legal topics for legal professionals within the financial sector, as well as for corporations. Bart joined Legaltree as he wanted to invest more in the relationship with his clients, whilst maintaining the hightest quality standards. He describes himself as a thorough and solid lawyer. He is accurate and well-informed, practical and clear about possibilities and impossibilities, as well as result-oriented. Bart has modern views on how to run the legal practice whilst retaining the traditional core values of the profession.